What is it about movies that makes them so popular? Many of us absolutely adore film and want to see everything that comes out, no matter what genre or who is starring in it. It’s not always about the storyline; there is something else that makes movies magical. Here are some of the reasons why movies are so well-loved. Not everyone gets art when it comes to paintings, sculpture, or even photography to an extent. However, with movies, everyone can appreciate some of the artistry that has gone into it. There will be breathtaking scenes, exciting choreographed action, beautiful lines and speeches, and amazing special effects. These are all art, and they can be combined into one single movie, giving everyone something to enjoy. Of course, it’s fine to watch movies on your own, but when you’re watching them with other people, it’s a wonderful shared experience that is difficult to find elsewhere. You might be watching with a group of friends at home where you can discuss what is going on and give your own opinion, and that’s always fun and makes the experience a better one. Alternatively, you might be in the cinema with a group of strangers, but you will still be experiencing the same movie at the same time, and you’ll react together. Something will make you laugh, gasp, maybe even cry, and you will be sharing that with people you will never see again, which is exciting and special. Whichever movie you go to see, you’ll learn something from it. It could be anything, from important life lessons in some cases to more specific knowledge such as how the legal system may work in a certain country, or where locations are in the world. Learning something new, whatever it may be, is useful to keep our brains active and more youthful, plus it’s interesting and makes movies a lot more fun. 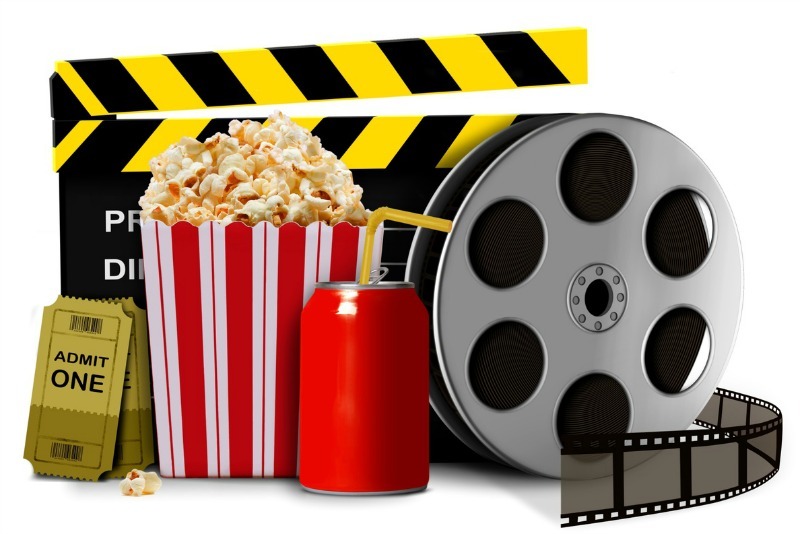 Movies help people to escape from real life for a few hours, and sometimes that can be a wonderful distraction from everything that is going on. Even if life is perfectly fine, taking some time out to enjoy something that is entirely unrelated to your own life can help you to relax a little more. For those who are experiencing problems and challenges, this movie escapism can help to put things in perspective. It may even be that, because your brain has had time to rest, you actually find it easier to come up with a solution once you leave the cinema. If you are a particularly avid film watcher, you may want to store a collection on your computer. If you love your films, you could even set up a film blog. If you are managing a blog or keeping films stored on your computer, make sure all your relevant files are always safe and easy to find. If you need to read up on how to find and obtain information easily, read up on eDiscovery from Secure Data Recovery. Loving movies means you have a lot in common with many other people, and going to the movies is a legitimate hobby that you can share with friends, family and, as mentioned above, even strangers. Once you begin to enjoy movies, you will want to know more about how they are made and what goes into producing a film, and you’ll get more and more involved. You might even end up making a career out of it.